There is a fire in this park called Big Plain. Refer to the Rural Fire Service for latest information. Do not enter any closed area or area with fire. If you see an unattended fire call Triple Zero (000). Penalties apply for non-compliance. For more information about fire safety in parks and reserves, visit the NSW National Parks fire safety page for park safety guidelines. There is a fire in this park called Werrombi North HR. Refer to the Rural Fire Service for latest information. Do not enter any closed area or area with fire. If you see an unattended fire call Triple Zero (000). Penalties apply for non-compliance. For more information about fire safety in parks and reserves, visit the NSW National Parks fire safety page for park safety guidelines. There is a fire in this park called Rocky Waterholes HR. Refer to the Rural Fire Service for latest information. Do not enter any closed area or area with fire. If you see an unattended fire call Triple Zero (000). Penalties apply for non-compliance. For more information about fire safety in parks and reserves, visit the NSW National Parks fire safety page for park safety guidelines. There is a fire in this park called NPWS Potters North SFAZ HR. Refer to the Rural Fire Service for latest information. Do not enter any closed area or area with fire. If you see an unattended fire call Triple Zero (000). Penalties apply for non-compliance. For more information about fire safety in parks and reserves, visit the NSW National Parks fire safety page for park safety guidelines. There is a fire in this park called HR Potters North Tarlo River NP. Refer to the Rural Fire Service for latest information. Do not enter any closed area or area with fire. If you see an unattended fire call Triple Zero (000). Penalties apply for non-compliance. For more information about fire safety in parks and reserves, visit the NSW National Parks fire safety page for park safety guidelines. There is a fire in this park called Hazard Reduction Jacks Corner SFAZ. Refer to the Rural Fire Service for latest information. Do not enter any closed area or area with fire. If you see an unattended fire call Triple Zero (000). Penalties apply for non-compliance. For more information about fire safety in parks and reserves, visit the NSW National Parks fire safety page for park safety guidelines. High rainfall events have damaged the surface of Long Gully Road and parts of Western Distributor Road. This has exposed rocks and caused deep ruts on the road to Long Gully carpark and Castle walking track carpark. Please take care if you drive a 2WD vehicle. For further information, please call the NPWS Ulladulla area office on 02 4454 9500. A NSW National Parks and Wildlife Service contractor will be undertaking a wild dog baiting program using 1080 (sodium fluoroacetate) baits in Morton National Park at 12 Mile Road and Little Forest Plateau. The program will take place from Monday 1 April to Monday 30 September 2019. This baiting program is in accordance with the 1080 Wild Dog Baiting provisions in the Pesticide Control (1080 Liquid Concentrate and Bait Products) Order 2017. Precautions will be taken to minimise the risk to pets and other non-target species. Please remember, it is an offence under the National Parks and Wildlife Act to allow domestic animals into national parks and nature reserves. It is also and offence to interfere with the wild dog control program. There will be 1080 baiting notification signs at track heads in each area advising the start and finish dates of the baiting program. For more information on this program, please call the NPWS Ulladulla office on 02 4454 9500. High rainfall events have damaged the surface of Pointer Gap Road, exposing rocks and causing deep ruts on sections of Pointer Gap Lookout Road. Please take care if you drive a 2WD vehicle. High rainfall events have damaged the surface of Twelve Mile Road, exposing rocks and causing deep ruts from the Granite Falls turn-off to George Boyd lookout. Please take care if you drive a 2WD vehicle. For further information please call the NPWS Ulladulla area office on 02 4454 9500. 1080 poison will be delivered by CPE and ground baiting. Warning signs will be displayed to notify the public about this program. Domestic animals may be affected - 1080 is lethal to cats and dogs. If you are a neighbour or plan to visit the park, please remember that domestic animals are not permitted in national parks or karst conservation reserves at any time. Please do not handle or disturb any baits. Penalties apply for non-compliance. For further information, call the NPWS Kanangra area office at Oberon on 02 6336 1972 during business hours. For further information call the NPWS Ulladulla area office on 02 4454 9500. 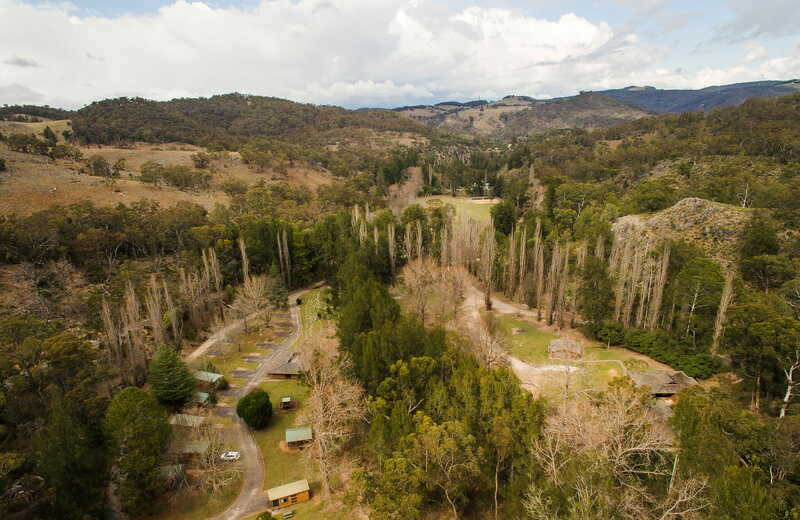 It may be noisy at Bummaroo Ford campground during daylight hours from Monday 4 March to Wednesday 4 September 2019. This is due to bridge and roadworks occurring near the campground. It's not possible to canoe in Thirlmere Lakes National Park due to low lake water levels. A 1080 fox and wild dog baiting program is underway in the Kangaroo Valley, Budgong and Illaroo areas from Friday 14 December 2018 through to Friday 14 June 2018. Baits have been placed on private properties, council reserves, the NSW National Parks estate, the Water NSW estate and vacant Crown land. Areas with 1080 baits are sign-posted with dates and information about the baiting methods. Do not touch bait or ejector devices. Dog owners should not allow their dogs to wander in these areas because 1080 is poisonous to domestic animals, like dogs. NSW National Parks and Wildlife Service is conducting the 1080 program in these areas to protect the endangered brush-tailed rock-wallaby. Visit the Friends of the Brush-tailed Rock-wallaby website to find out more about them. Please refer to the cross-hatched areas on the attached map which shows land within 1km of any baiting stations. For further information please contact Melinda Norton at the NPWS Highlands area office at Fitzroy Falls on 02 4887 8244. 1080 fox baiting program in the Kangaroo Valley, Budgong and Illaroo from Friday 14 December 2018 through to Friday 14 June 2019. Baits have been placed on private properties, council reserves, NPWS estate, Water NSW estate and vacant Crown land. Areas with 1080 baits are sign-posted with dates and information about the baiting methods. Baits are buried and above ground ejector devices found at bait station locations. Dog owners should not allow their dogs to wander in these areas because your dog could be poisoned. NSW National Parks and Wildlife Service is conducting the program in these areas to protect the endangered brush-tailed rock-wallaby. Visit the Friends of the Brush-tailed Rock-wallaby website to find out more about them. For further information please contact Melinda Norton at the NPWS Highlands area office at Fitzroy Falls on (02) 4887 8244. 1080 fox and wild dog baiting program in the Kangaroo Valley, Budgong and Illaroo from Friday 14 December 2018 through to Friday 14 June 2019. Baits have been placed on private properties, council reserves, NPWS estate, Water NSW estate and vacant Crown land. Areas with 1080 baits are sign-posted with dates and information about the baiting methods. There is a 1080 fox baiting program in this reserve from Friday 14 December 2018 through to Friday 14 June 2019. 1080 baits are buried and above ground ejector devices found at bait station locations. NSW National Parks and Wildlife Service is conducting the program to protect the threatened species in this area. A 1080 ground baiting and ejector program targeting foxes is underway in Eurobodalla National Park, Mimosa Rocks National Park, Bournda National Park and nature reserve, Gulaga National Park, Ben Boyd National Park and South East Forest National Park. The program is ongoing throughout the entire year. Visitors are reminded that 1080 is harmful to domestic animals. There are 1080 warning signs at entrances and exits throughout the reserve areas. For further information call the NPWS Merimbula area office on 02 6495 5000. Parts of Elephant Road (Croobyar area, 4km west of Milton) are closed due to bridge damage incurred during the Kingiman wildfire. Penalties apply for non-compliance. For more information, please contact Ulladulla area office on 02 4454 9500 or visit the NSW National Parks safety page for park safety guidelines. Bicentennial trail is closed due to drought conditions. Crown Lands has advised the Office of Environment and Heritage (NSW National Parks) that, due to lack of water and feed, it is strongly advised that visitors do not undertake the trek along the trail with horses. Penalties apply for non-compliance. For more information, please contact Blue Mountains Heritage Centre on 02 4787 8877 or visit the NSW National Parks safety page for park safety guidelines. The walking tracks, steps, staircases and boardwalks to Glow Worm Glen at Bundanoon are ageing and often damp. Visitors, please take extra care. All access to the base of Belmore Falls from Hindmarsh and Belmore Falls lookout and picnic area is permanently closed due to safety risks. Access is also closed from the causeway to the top of the falls. These access points are prohibited to visitors and penalties apply for non-compliance. For more information, please contact NPWS Fitzroy Falls office on 02 4887 8244 or visit the NSW National Parks safety page for park safety guidelines. The Tianjara fire trail is closed due to environmental damage. The trail is currently impassable. Penalties apply for non-compliance For more information, please contact NPWS Ulladulla on (02) 4454 9500 or visit the NSW National Parks safety page for park safety guidelines. NPWS will be conducting a wild dog control program from October 2017 to October 2018 for wild dogs. The program will include trapping and the use of 1080 (sodium fluoroacetate) poison baits. The program will be undertaken in the Sassafras-Tolwong-Touga area of Morton National Park. Visitors are advised not to touch traps or baits. Please be aware that domestic pets could be affected as 1080 poison is lethal to dogs and cats. Pet owners and landowners must ensure their pets and working dogs do not enter baited reserves. For further information contact the NPWS Nowra area office on (02) 4428 6300 during business hours.